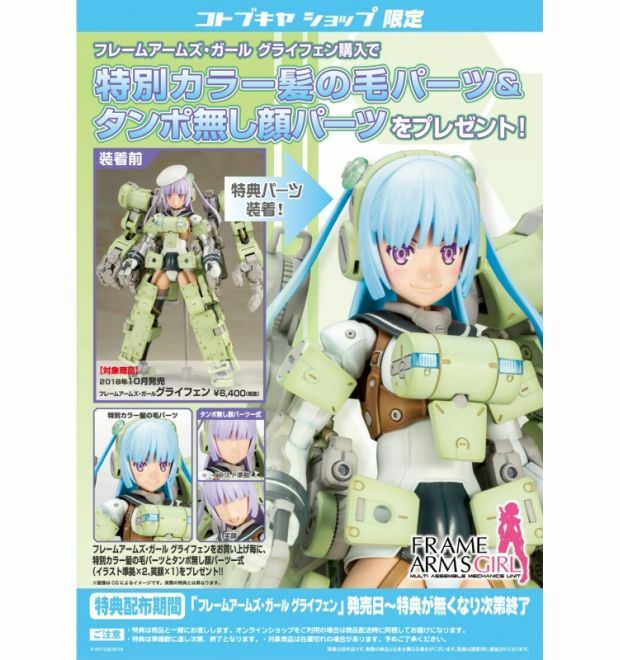 n was converted into the adorable Frame Arms Girl form by Tomotake Kinoshita himself! ng forward,” “looking right,” and “smiling/looking left.” The face parts are pre‐printed, allowing you to easily recreate the model’s default appearance without paint or decals. The included beret is fully detachable.